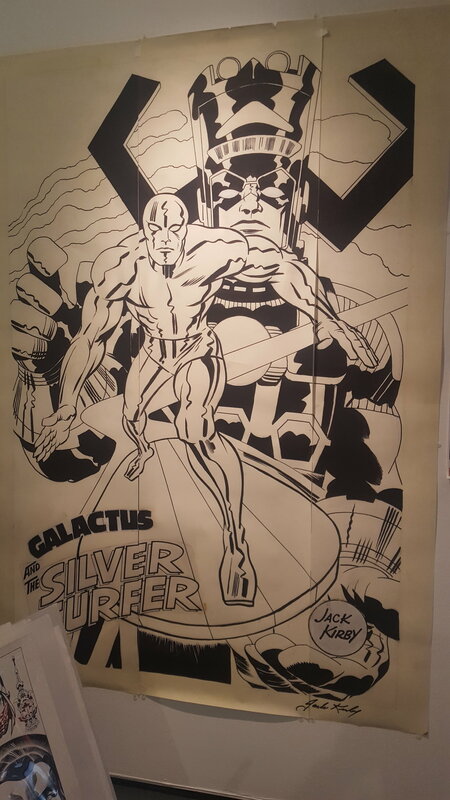 Some regard Jack Kirby's career as pioneering. Some might say his career was a stroke of luck. I like the saying luck is where preparation and opportunity meet. The people who are familiar and the people who know him best call him the King. Jack Kirby is a man who needs no introduction. His exploits span practically 50 or 60 years. 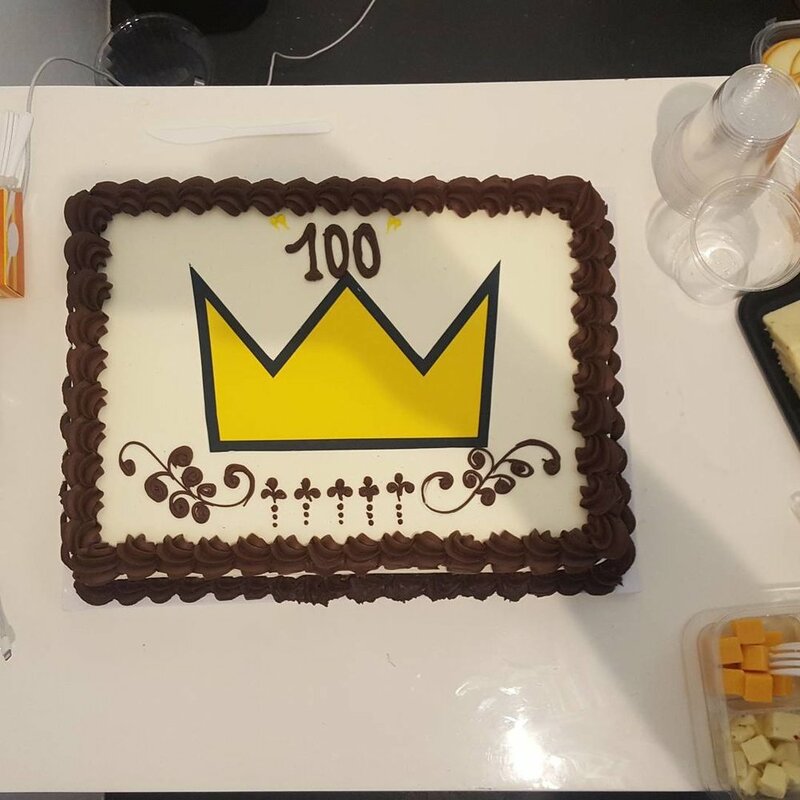 What you might not know is that August 28th, 2017 was the man's 100th birthday. Unfortunately, all great men come to the same conclusion. Mr. Kirby passed in 1994 but his legacy lives on. 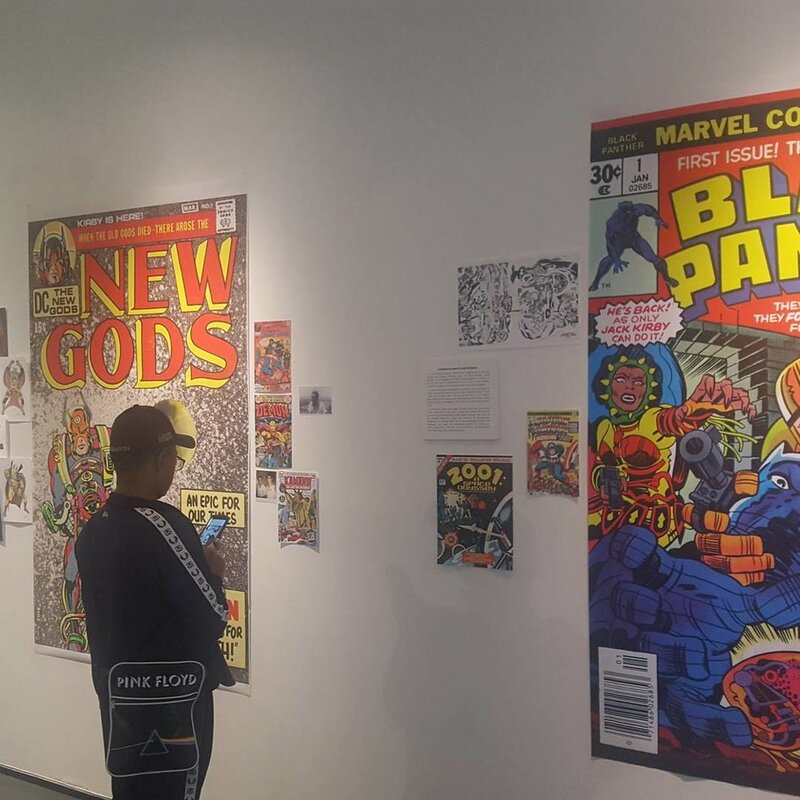 From August 27th until August 30th the Jack Kirby museum and research center is holding a pop up exhibition at One Art Space in Manhattan to celebrate. I was fortunate to go on the 28th to celebrate a life and body of work. The room at 23 Warren St New York, New York was filled with life. Patrons scattered amongst Photostats of pencils, inks and colors. In the background, the low uttering of an interview with Mr. Kirby was projected on an entire wall. The walls served as frames for life size versions of some of the King's iconic covers. Fantastic Four number 1, Captain America number 1 and New Gods number 1 to name a few. I saw enough "piston fingers" and "Kirby Dots" to last a lifetime. 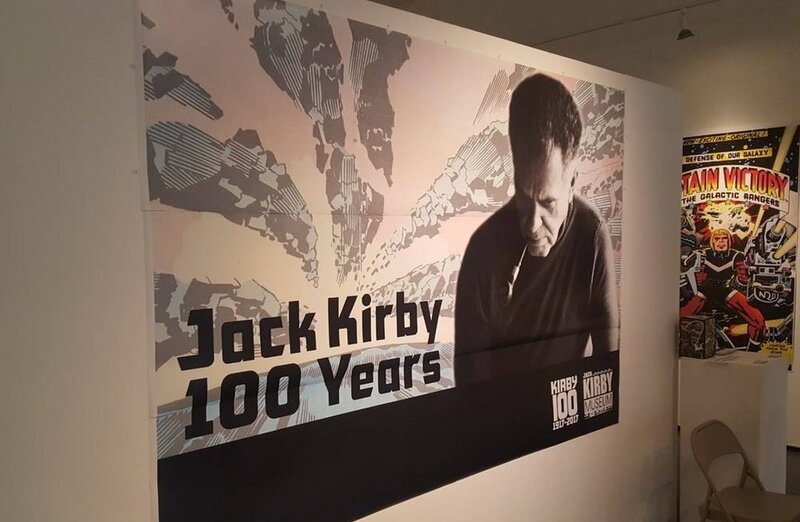 Placards adorned the walls highlighting the life of a man born Jacob Kurtzberg but who we call Jack. I perused through blown up versions of the man's comics. Truly appreciating the awesomeness of his line work. These put artist editions to shame. After viewing photostats of Captain America and the Fantastic Four I made my way to a refreshments table. We were given free champagne with hor d'oeuvres to hold us over until what we were all eagerly waiting for. At around 5:30pm the cake was cut. A birthday cake was presented and offered to whomever wanted a piece, it was had by most. 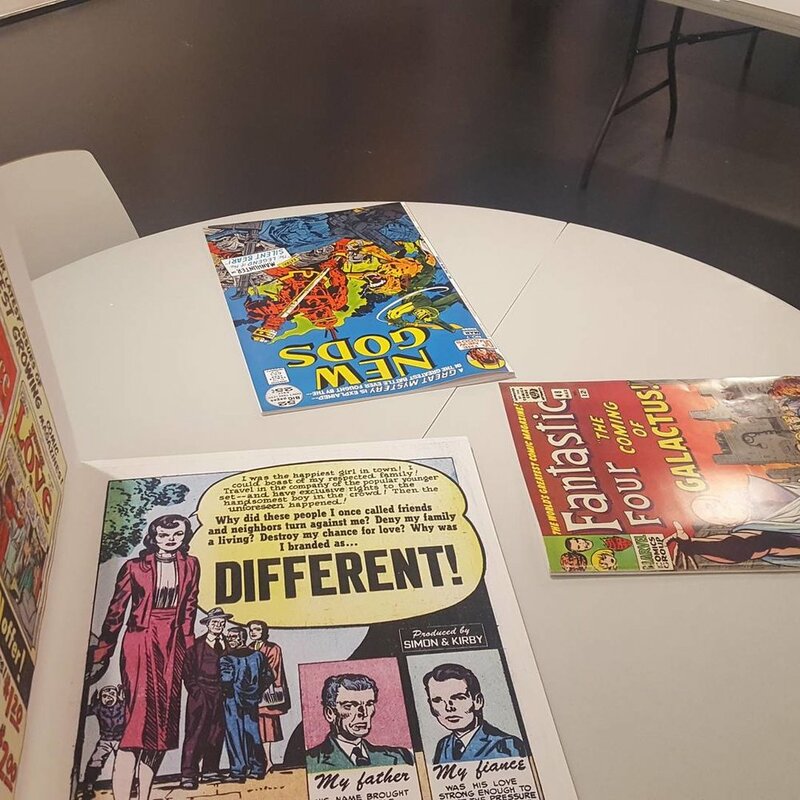 The event ended with the founder Rand Hoppe giving his own rendition of Jack Kirby's life with flairs of social commentary for the era. I was able to speak briefly with museum trustee Mike Cecchini. We spoke about how unfortunately the museum doesn't have a permanent home. They have storage and an office in nearby New Jersey but nothing in New York or anywhere else. At the moment the museum is mostly digital on their website. They have a network of collectors who have allowed them access to scan all of these priceless artifacts. 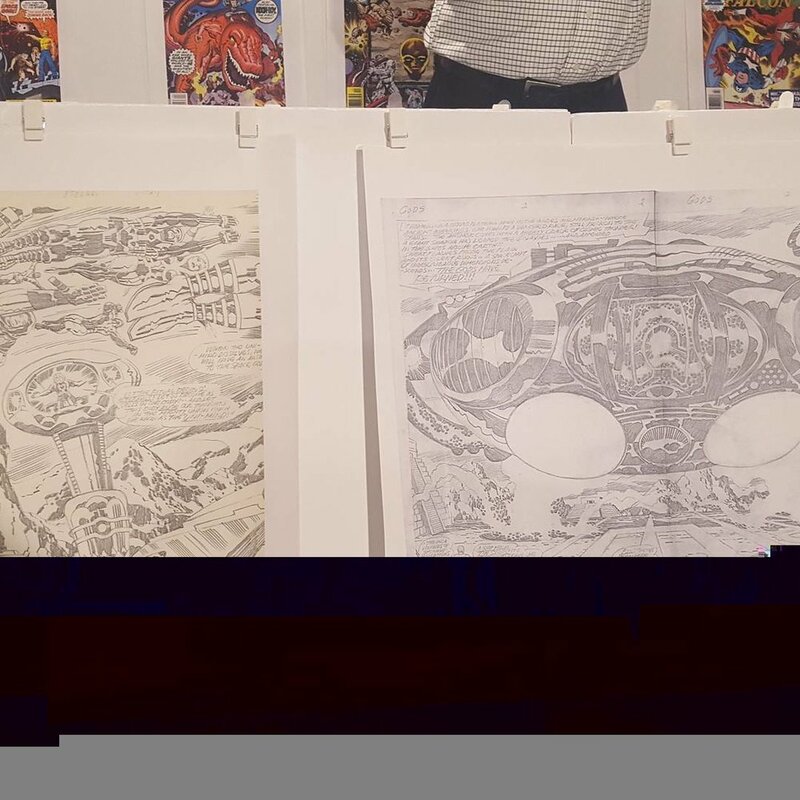 They boast over 12,000 pages of Kirby artwork. If the museum had a permanent residence, then we, the viewing public, would have the ability to see these brilliant photostats up close. Who knows, with enough money maybe they can have original Kirby pages on loan from various collections. When asked about the future Mike talked about how the main focus is finding a place in NYC's downtown area and ideally on the west coast too. Primarily the museum holds an exhibition in the fall. They make appearances at conventions as well. Stay posted about their agenda at their website kirbymuseum.org.